This one comes from Dave Donahue, the editor and publisher of Ra Press. Read the review in full below. Haven’t had that feeling of awe in a while but it returned in reading IMMORTAL MEDUSA… How to explain the feeling? Like being in a place where there are artifacts of basically everything—ancient philosophies, odd slices of history, articles of faith, weird science, and yes, so much knowing documentation of family—childhood, aging and everything in between…. Immortal Medusa has been recently reviewed in Poets and Artists magazine by Rita Maria Martinez, the author of The Jane and Bertha in Me. Read her review and a few shared poems here. At the end of April, Barbara was the featured reader at Wild Minds, a reading of nature poetry at the Hyuck Preserve Eldridge Research Station in Rensselaerville, NY. Immortal Medusa also recently won the Adirondack Center for Writing Best Book of Poetry 2015 Award. Barbara’s co-winner was Stuart Bartow, with Einstein’s Lawn. Barbara and Stuart will read together on July 29th at the Fourth Lake Community Center in Lake Luzerne, NY. Check the events page for more details. Barbara will be joining the rest of her Creative Writing faculty at the College of Saint Rose for a reading of recent work. The other readers include Rone Shavers, Hollis Seamon, Kenneth Krauss, and Daniel Nester. 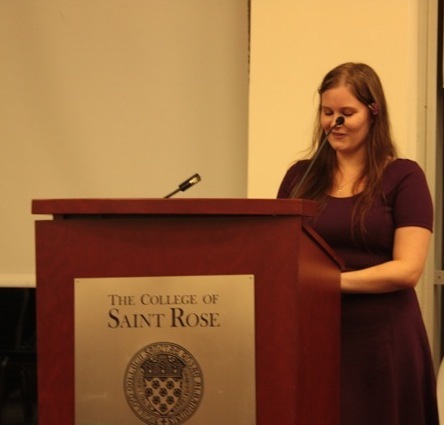 The reading will take place at 7 p.m. in the Standish Rooms at the College of Saint Rose. View the Facebook event page here. Also, Immortal Medusa was one of only seven indie poetry books to be included in Kirkus Reviews’ Best of 2015 list. Reread that review here and see the full Best Books list here! 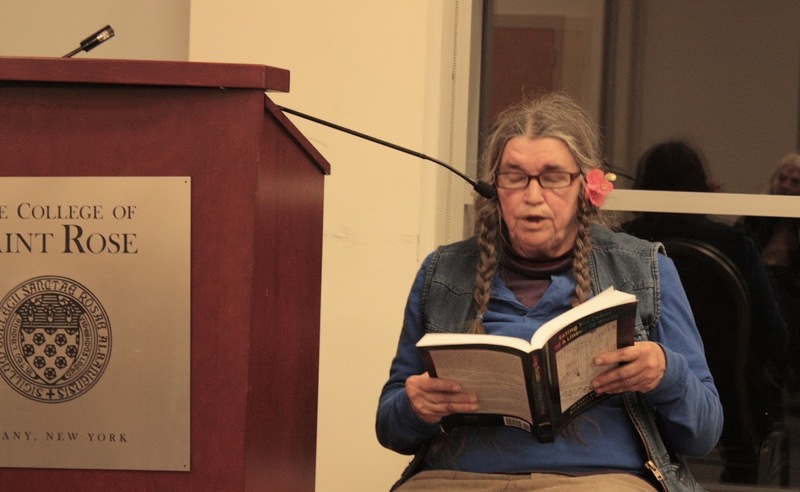 Barbara recently read at the College of Saint Rose with poetry legend, Bernadette Mayer. 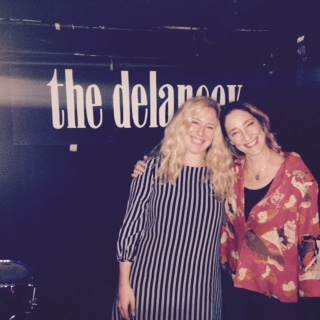 Bernadette was introduced by current MFA student, Amber O’Sullivan, who introduced her by way of a wonderful poem. Bernadette is currently the College’s Visiting Writer for the MFA program, as well as a Guggenheim recipient. She read poems spanning her entire career, and those from her most recent collection, Eating the Colors of a Lineup of Words: The Early Books of Bernadette Mayer. 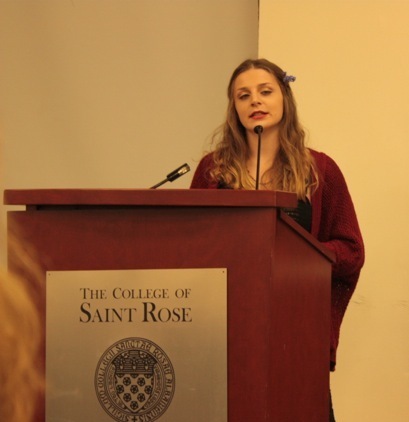 Barbara was introduced by Alyssa Cohorn, who is also in the College of Saint Rose MFA program. Barbara read from Immortal Medusa, and also previewed some new poems. 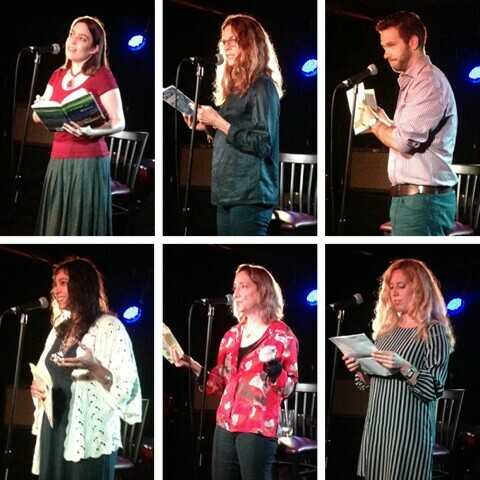 On Saturday, October 3rd, I read for New York City’s Couplet reading series. 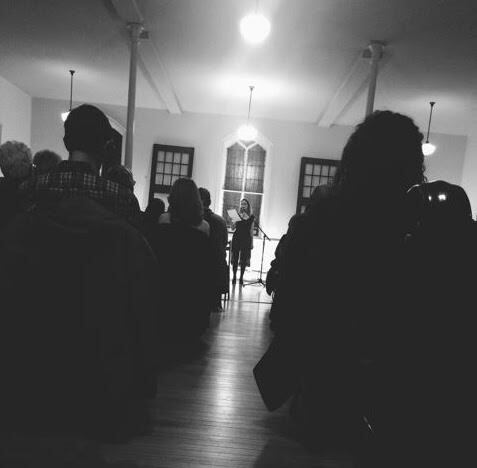 This was the fourth anniversary of the poetry series, and I read alongside Sandra Beasley, Susan Bruce, Wesley Rothman, Robin Beth Schaer, and Couplet’s founder, Leah Umansky.